After Congress Party’s ‘Jan Aashirwada Yatra’ in Karnataka concluded on Monday, party President Rahul Gandhi took to Twitter saying, “I want to thank the people of Karnataka for their warmth and affection and our Congress workers for working tirelessly to make our Yatra a resounding success”. Rahul Gandhi shared a video of his campaign trail with a note: “The second phase of our #JanaAashirwadaYatre in Karnataka ended yesterday. I want to thank the people of Karnataka for their warmth and affection and our Congress workers for working tirelessly to make our Yatra a resounding success. I appreciate each and every one of you. “. 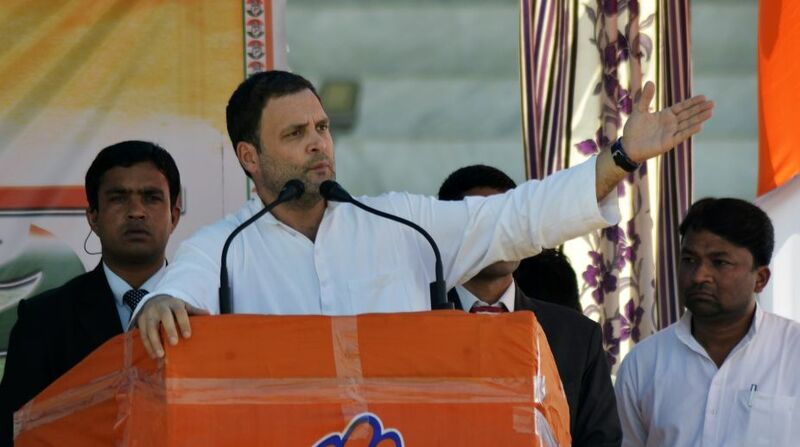 On Monday, Rahul Gandhi asserted that the ruling party would win the Karnataka Assembly poll and return to power again. “The Congress will win the assembly election in Karnataka again and return to power as our government fulfilled all the promises it made and lived up to the people’s expectations,” Gandhi had said. During his campaigns, Gandhi had resumed his tirade against Prime Minister Narendra Modi and the BJP, where he had said that though they both have money and media with them, the Congress had the people with it because of its good governance in the state. Gandhi exuded confidence of the Congress being re-elected and hinted that Chief Minister Siddaramaiah would lead the poll campaign with the party’s state leaders to develop Karnataka into a model state for others to follow. “Siddaramaiah and I will take the state forward after winning the upcoming election,” reiterated Gandhi though the party had not projected its next chief minister in the event of winning the assembly poll. Urging Modi to learn from Siddaramaiah how to deliver promises and govern the state, the party chief decried the former for dubbing the Congress government being corrupt and taking 10 per cent cut in its projects. The Congress returned to power in the southern state in the May 2013 Assembly election a decade after it lost power in 2004 state poll. Gandhi was on a three-day visit to the state since Saturday to seek the people’s blessings in the Assembly poll, due in April-May, through the ‘Jan Aashirwada Yatra’, organised by the party’s state unit. Gandhi had toured Belagavi, Vijayapura, Bagalkot and Dharwad districts in the state’s northwest during the second leg of his visit to Karnataka as part of the ‘Jana Ashirwada Yatra’. Gandhi had visited the state for the first time after becoming party chief in December from 10-13 February and had covered Koppal, Ballari, Raichur, Yadigir, Kalaburgi and Bidar districts in the erstwhile Hyderabad-Karnataka region in four days. The Election Commission (ECI) is likely to announce the schedule for Karnataka Assembly elections in the second week of April, after the school board examinations are over, highly-placed sources said here today. They said the Election Commission will visit the state sometime in the end of March or early April to decide the date on which the election schedule for the state will be announced. The term of the 224-member Karnataka Assembly ends on May 28 this year.